I'm joining Doodle Bugs Teaching for Five for Friday! 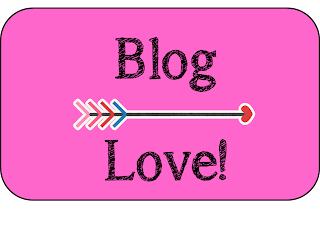 After you've read my blog be sure to stop over and see all the other great posts! Today, marks one year since my sweet Duchess ran away because she was frightened by the fireworks. We searched all night long in the rain for her. Thankfully an awesome family found her and called me. She is a leash-walked puppy now! My sweet fur babies Duchess and Duke! So since I've been traveling all over Tennessee presenting as a Core Coach and will be presenting at TETA next week I decided I needed a grown up bag. The past month I've been carrying my stuff in random mismatched bags. It has a place for my laptop, files, pen, pencils, and more! I'm super excited about using it next week! After I finish this blog post and my honey is done getting ready we will be heading to my Grandparents for a Fourth of July celebration. Some of my family from NY have traveled to TN for the holiday. This is the awesome view from my Grandparents! I remember them working their back-side off to get this view! I've picked out my Monday Made-it project for the next week! This chair needs some major love! I'll be posting its transformation on Monday! I am looking for awesome blogs to share with my participants in one my sessions next week! Click here to link your blog for me to share! I hope everyone has a great Fourth of July!